My cousin Angie has been waiting ever so patiently for this one...and at last, without further ado, here it is. 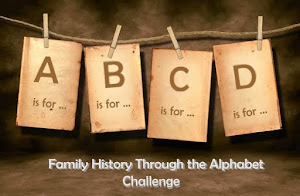 My 'J' alphabet challenge is dedicated to our 3 x great-grandfather Josiah Jolly (Two J's covered in one post, talk about killing two birds with one stone!). Josiah Jolly was born in Laxfield, county Suffolk around 1806. He was the fifth known son of Robert Jolly, an agricultural labourer. Before coming to Laxfield, the Jolly families were believed to originate from Wortham. Laxfield is from Saxon times and is mentioned in the Domesday book. 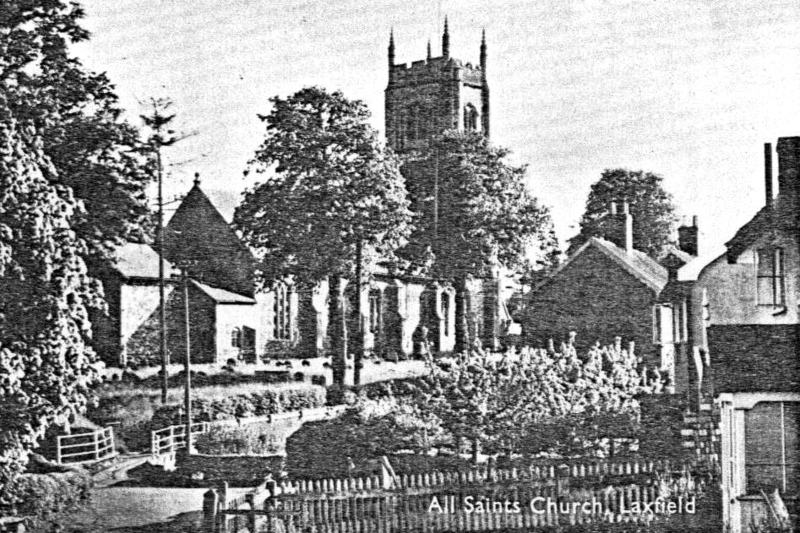 Its church, All Saints, dates back to at least the fourteenth century. From the seventeenth century, Laxfield became a strong Puritanical village, not least because William Dowsing (1596-1668) who was born in Laxfield, visited many Suffolk churches and was responsible for defacing items such as altar rails, chancel steps, and crucifixes. 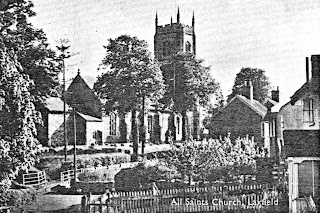 Josiah Jolly married local girl, Susan Short, in 1829 and shortly after this, for reasons unknown, they left Laxfield to start a new life in Bungay with their first born child, Mary. This was a rocky time in their lives if workhouse records and quarter sessions accounts are anything to go by. 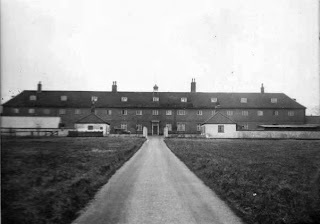 By the time their second son, Josiah (jnr) was born in 1830, they had sought parish relief at Shipmeadow Workhouse four times. I am not in the least dismayed by Josiah's apparent "bad behaviour". If you sift through the local newspapers of the time, Beccles and surrounding districts of Suffolk were experiencing unimaginable unrest. There were Tithe Riots, incendiarism, agricultural riots and repeated cases of damage to threshing machines. Agricultural practices were changing and some felt the very real threat of machinery taking away jobs from whole families whose income heavily relied on menial farm labouring tasks. Josiah would not have been alone in feeling this voracious unrest. However torn his ties to agricultural change were, Josiah and Susan went on to have a total of thirteen known children. The last born, William, was my 2 x great-grandfather. Josiah and Susan lived in Plough Street, Bungay which later became known as Wingfield Street. It was formerly known as Plough Street due to its notable thatched roof publichouse, The Plough Inn. This street is better known today for its Board Schools (known today as Bungay Primary School) which was established in 1877, two years before Josiah died, aged 73. Plough Street was renamed Wingfield Street after the first school master of the Bungay Grammar School, Thomas Wingfield (founded in 1565). Kelly's Directory 1883: Board Schools, erected in 1877, for boys, girls & infants, with class-rooms to hold about 600 scholars average attendance; boys 162, girls 139, infants 113. A wonderful post. You've obviously done a whole heap of research on Josiah. Well done! I believe Shipmeadow workhouse has been turned into apartments...still looks like "Bleak House" when passing by. Was fascinated to read about the Board Schools in Wingfield Street, Bungay. My great great grandfather was headmaster at the time you were writing about. He started in 1863 when the school was known as the British School, and continued through the reorganisations of the 1870s before retiring due to ill health some time at the end of the 1880s/early 1890s. I would be very interested to know if you have any more information? Hello, and many thanks for your feedback. I found my information from Kelly's Directories and from local history books about Bungay. I'm not sure if you still check this page, but I found this after doing a bit of research into my own family history. 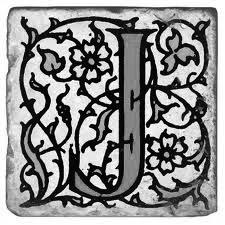 Josiah Jolly was my 3 x great grandfather, my 2nd being Charles (the younger brother of William).